A delightful, sensational cup of coffee is the perfect way to kick-start your mornings. But once in a while, most of us would like to break out from the coffee and breakfast rut with something a little different. So what’s better than a cup of coffee? Introducing the coffee smoothie. Here are a few recipes for delicious, refreshing and healthy coffee smoothies. They are easy to make and make the perfect to-go option! Grady Laird, the owner of Grady’s Cold Brew, says that the best way to get an amazing coffee based smoothie is to use a cold-brew concentrate. Cold-brew concentrates can be made on your own at home or can be purchased at a store. The coffee creamsicle is inspired by Orange Julius drinks that you can find at your local mall food court. To make this, you need three ounces of cold-brew concentrate, 8 ounces of vanilla almond milk, 1 cup of ice and two ounces of orange juice. Blend all the ingredients together to your desired consistency and you have yourself a refreshing drink. 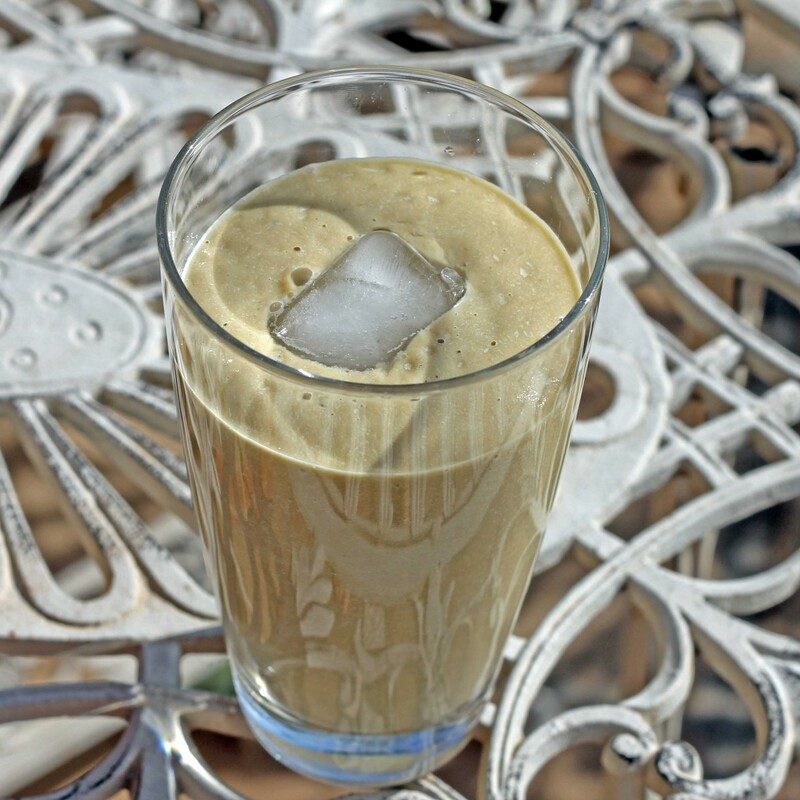 For this smoothie, use soy milk together with cold-brew concentrate. Add some unsweetened cocoa powder and one small ripe banana. To take the healthy level up a notch, put in a generous amount of protein packed chia seeds. Blend it all together and drink up! Who doesn’t dream of a tropical island far, far away on Monday morning? Add a tropical twist to your morning coffee and pretend away. Mix two cups of coconut milk, two ounces of cold-brew concentrate, a little bit of water, a cup of pineapple chunks, hemp seeds and agave nectar. Blend and serve. Creamy with a hint of coffee, this frappe tastes like a delicious coconut milkshake. Mix unsweetened coconut milk, cold-brew concentrate, unsweetened cocoa powder, a little coconut extract and a bit of stevia. Blend everything until it is smooth, and in the fridge for a few minutes for it to slightly freeze. Coffee and peanut butter all in one cup!! To make this delicious concoction, you need a frozen banana cut into pieces, cold-brew concentrate, vanilla almond milk, a scoop of chocolate protein powder and natural peanut butter. Add in some ice, blend till you’ve reached your desired consistency and enjoy! Who doesn’t love chocolate? This smoothie is chocolate heaven with a burst of coffee flavor. You will need frozen bananas, so if you have bananas on hand, freeze them. This is a good alternative to ice. In a blender, add the bananas, one cup of strong cold-brew concentrate, and unsweetened cocoa powder with stevia or honey and then add in some milk. Blend to desired consistency. If it’s too thick then add in some ice to dilute the mixture a little. This smoothie takes its inspiration from the Vietnamese Sinh To Bo, which is a luxuriously rich and creamy smoothie made from avocado. These smoothies are a popular Vietnamese dessert and often eaten as a mid-afternoon snack. In a blender, put in cubes of ripe avocado, add in plain milk, almond milk or coconut milk. Add in sweetened condensed milk and three ounces of cold-brew concentrate. Blend it all up and add in ice if desired. This is more of an indulging smoothie for one of those days where you just need a cheat. In a blender, add in fresh pitted strawberries and one small ripe banana. Then, add in two tablespoons of Nutella (or more if desired). Next, pour in almond milk or coconut milk and then a cup of cold-brew coffee. Blend everything together. Add sugar or water if needed. This smoothie is just great for any season- not just Christmas. In a blender, add in frozen bananas, a handful of chia seeds, coconut water, ground almonds, cinnamon powder, nutmeg powder and one shot of espresso. Blend everything together nicely and then add in some ice. Serve cold.